In 2010, BMO was challenged with defining how its voice and style would live in the social media space. 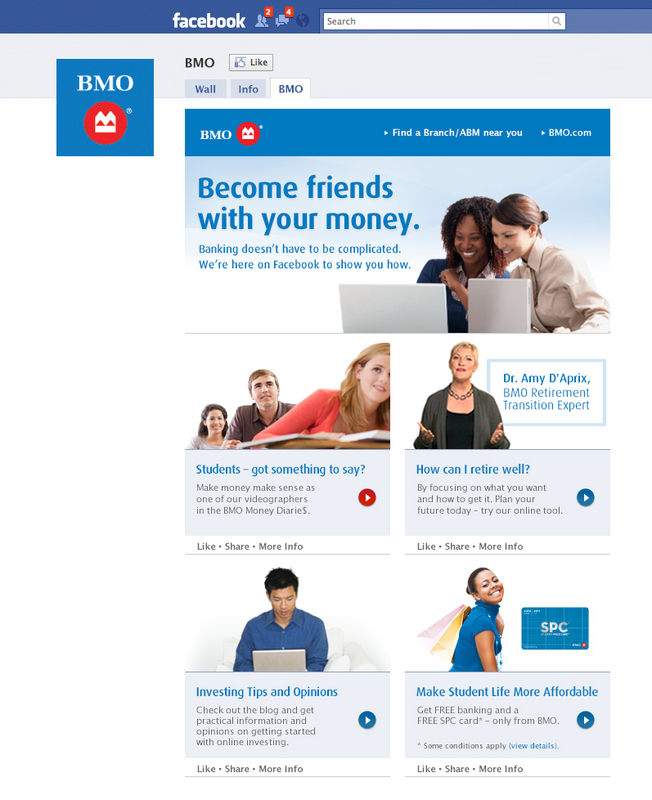 Specifically, BMO was seeking help in creating a branded message for its Facebook landing page. We provided creative direction and graphic design, working with copywriters to craft the right message and designing visuals that aligned with its brand.